Snapchat’s amazing growth to 20 million users is fueled by the disenchantment of young people who don’t like the invasion of their beloved Facebook by older users–especially mom and dad. They want their privacy. They also want to erase the permanancey of their online conversations, creating a safer place to play with friends on the Internet. However, Snapchat’s recent revelation of the theft of 4.6 million user profiles has vaporized the “aura of awesome” around this pre-revenue entrepreneurial startup. What went wrong? Where’s that great reputation PR pro when you need them? Was it a 23 year old CEO’s naiveté about world-class hackers? Evan Spiegel turned down a $3 billion offer to sell to Snapchat because he had visions or delusions of grandeur. He and his team were definitely drinking the koolaid, intoxicated by their rapid assent. Was it lack of experience? Or, was it a pre-revenue company trying to cut corners to preserve investor money and good will? Every startup entrepreneur knows the pain of trying to balance “burn rate” of investor dollars with the need to market their product. If in high tech, they know the product is NEVER finished and the punch list of enhancements, including security, compete for attention. Well, the future will yet reveal whether the Snapchat team can navigate this bump in the road or if it will become the brick wall into which the startup will vaporize like a ghost! If your data has been leaked, don’t freak out! There are a few things you can do if you’ve been affected. 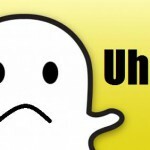 First and foremost, you can delete your Snapchat account – sadly, this won’t remove your phone number from the already circulating leaked database. If you feel that you’d rather unscrupulous entities not potentially have your phone number, you’re free to contact your phone TelCo, and request that they give you a new number. If you detail the breach, they’ll almost certainly give you a new one. Lastly, ensure that your security settings are up to scratch on your social media profiles. Be careful about what data you give away to sites when you sign up – if you don’t think a service requires your phone number, don’t give it to them. Are you concerned about online security when you sign up for a new web service?